With heavy automation taking place these days, the number of industries as well as number of accidents in those industries have increased substantially. Human errors and manual safety systems lead to increase in industrial accidents. 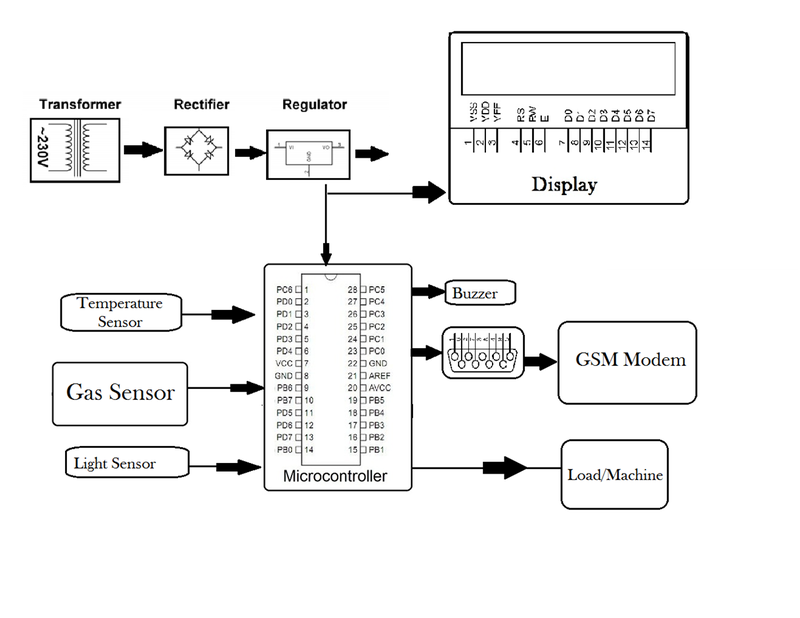 So here we propose a gsm based industrial protection system that detects smoke, temperature as well as light to keep track of accidents. The system needs to detect if the temperature of a machine or environment goes above a certain level, if it goes above a level, it is an indication of a malfunction. So here we use temperature sensor to detect a possible accident. Next indication is the malfunction or overloading of machines leading to smoke. We use smoke detectors to detect smoke and similarly a light sensor to detect light due to spark or any flash caused due to malfunctions. 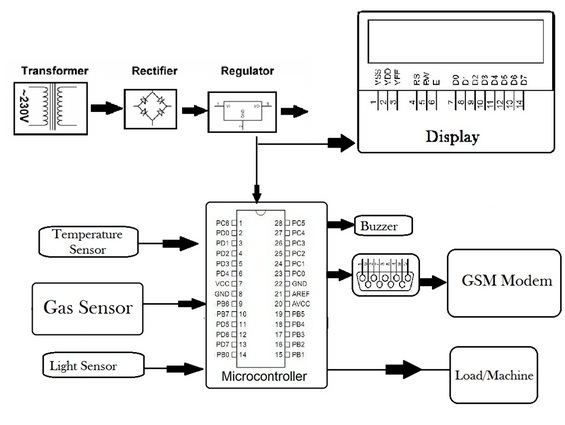 All these indicators/sensors constantly provide their input to the microcontroller connected to them. The microcontroller constantly processes this data. 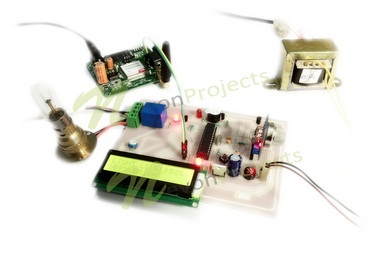 On encountering a warning signal from any of these sensors the microcontroller now communicates this data to a gsm modem interfaced to it and sends out an SMS message to intended user as a warning.